Plant tissue culture is a valuable tool that offers a means to propagate plants that are hard to produce in conventional means. 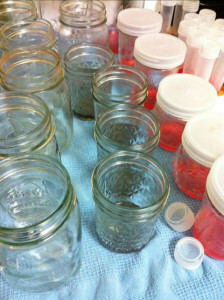 Even those that are somewhat readily multiplied traditionally can benefit from plant tissue culture. We utilize plant tissue culture at Biotope One to build the plant library and make more plants available than we possibly could without plant TC. Plant tissue culture is the practice of removing a small part of the plant, sterilizing it, and placing it into a sterile vessel filled with a gel. The gel contains nutrients and plant growth regulators to help the plant begin to grow and multiply. The plant tissue cells have all the information within themselves to make all sorts of cells from leaves, to stems, to roots and shoots. The ingredients in the vessels coerce the tissue to do what we hope for. Plant tissue culture is a viable method for commercial plant production but it is very costly at that level. 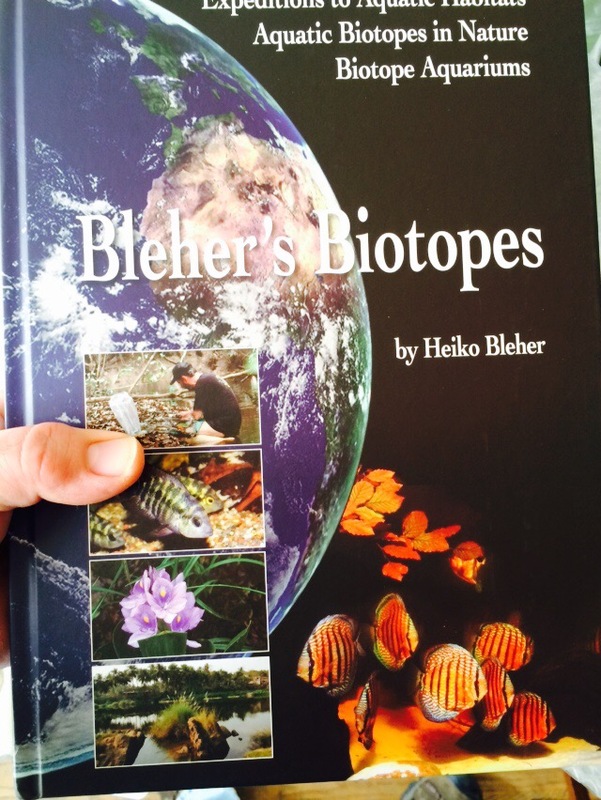 At Biotope One we practice the craft in a much smaller level and with much limited budgets. We have many makeshift tools that while it makes it possible, it makes it more difficult and time consuming at times. The cost to initiate a new plant in a commercial tissue culture lab is simply very restrictive to us as we have no working budget. 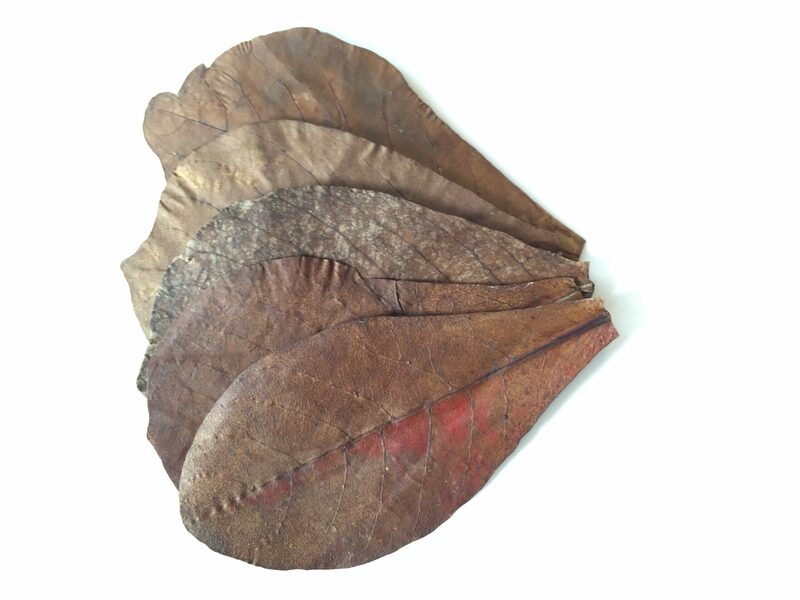 The money that we do make from selling plants and similar offerings from our collection goes into buying more materials and equipment for the ‘laboratory”. 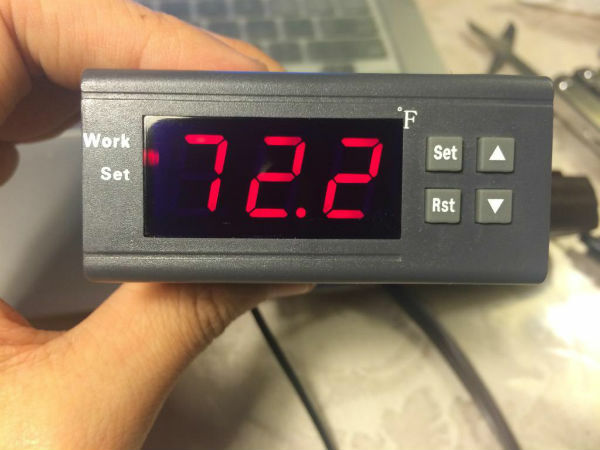 When we get new plants from trades and acquisitions there is often a great deal of time and resources put into getting them initiated into a culture. 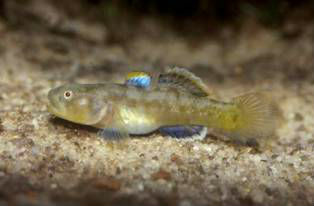 Most of the aquatic plants have no known protocol to follow and it leads to a series of experiments that usually fail. 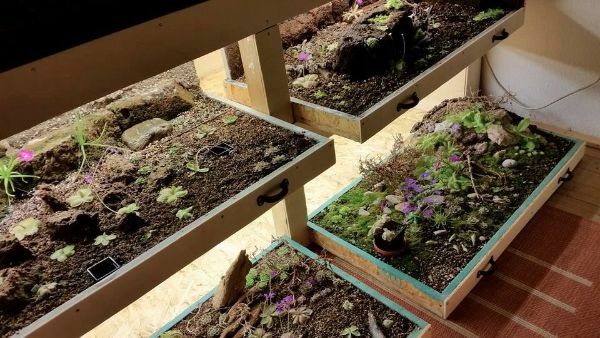 it is quite difficult to get collected plants immediately into a sterile vessel and mold and fungus are the most common attackers to our trials. 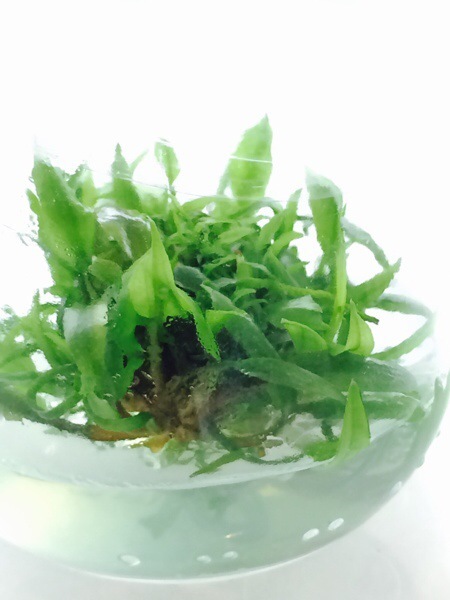 Cryptocoryne is likely our largest holding in the plant tissue culture arena. It is typically easier to get in cultures when prepared properly ahead of time but it still isn’t easy in most instances. We have some sword plants, anubias, stem plants, and other terrestrial plants in culture The collection of plants in the TC library waxes and wanes with popularity, disastrous results, and good fortune. In the spring most TC plants are put out into the small greenhouse that was built several years ago. When plants come out of cultures to be rooted or potted up they go into the greenhouse if the seasons are right. Otherwise they are kept in a state of suspended animation int eh cultures until spring or until they are needed in a tank or trade. The greenhouse is a three season greenhouse and is unheated in the winter. It does however make a good overwintering spot for the carnivorous and other plants that need a period of cold dormancy. Many plants that come out of vessels can be started in deli tubs and similar small containers. 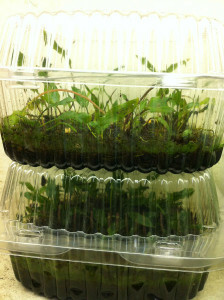 Low light plants like the cryptocoryne shown above can be stacked and rotated under fluorescent lights for suitable growth. They must be tended to regularly and without proper care and fertilizing will die. It is one of the few plants that can be stacked and rotated while still remaining healthy. Some of the more delicate cryptocorynes like hudoroi and Flamingo and Florida Sunset have a harder time with this method and do best in the greenhouse. 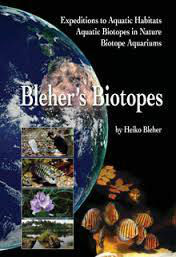 Recently there was an interview with Dr Peter C. Boyce, a very well known botanist, posted on the Shrimpscape.blogpost.com site talking about bucephalandra and its recent spotlight in the hobby and in the scientific world. 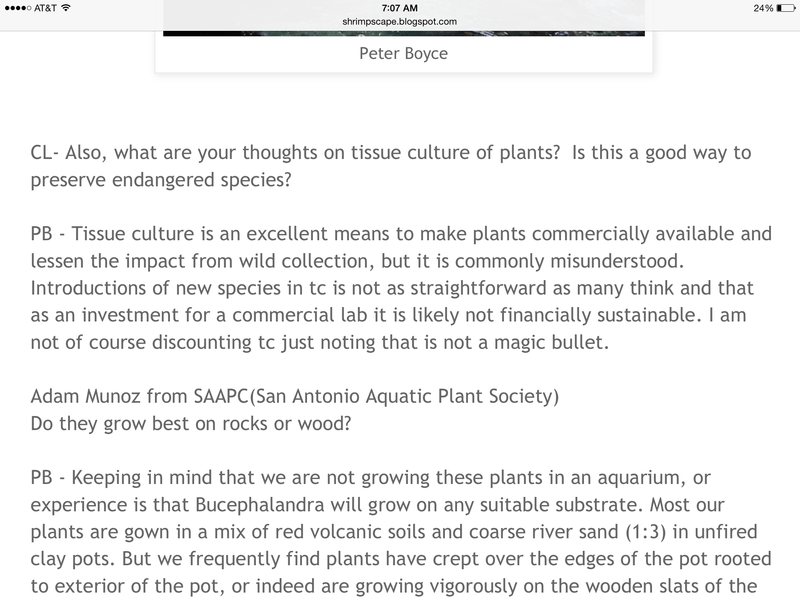 A question that is asked of Dr. Peter Boyce hits on plant tissue culture as a viable option for conserving plants. We have spoken about this same topic with Dr. Boyce and have the same outlook on it as he does. It is a valuable tool but not a cure all. The following is an excerpt from their interview. 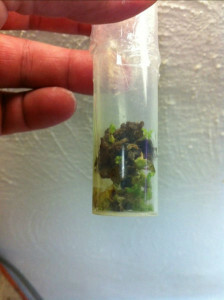 While plant tissue culture is a valuable tool to us it isn’t a cure all or magic bullet. Some plants simply don’t do well in culture. Some plants have bacteria inside their tissues. Slow growing plants like anubias and bucephalandra are difficult to get initiated into a vessel without growing fungus or dying. Its often a long arduous task but well worth the rewards when it goes well. It is resource intensive but it pays out when we hit the jackpot on a new culture. More can be read about the interview with Dr. Peter C Boyce on the Shrimpscape.BlogSpot.com site.